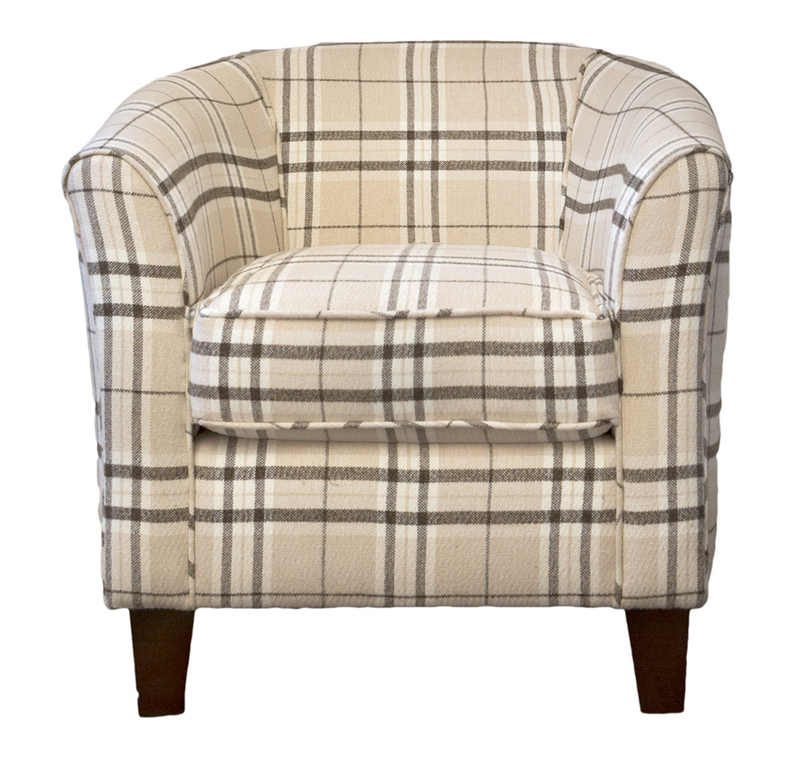 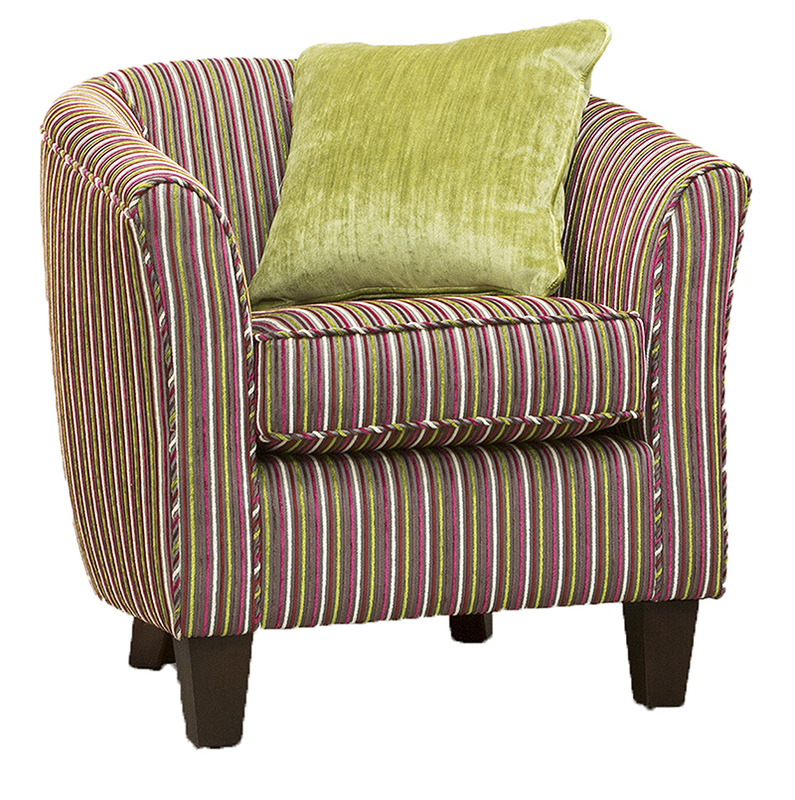 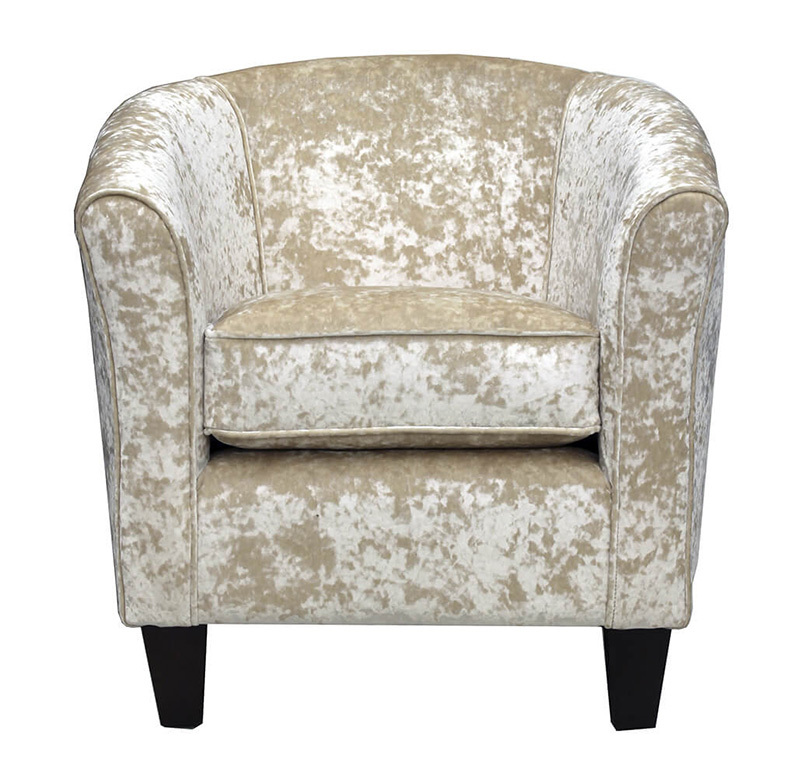 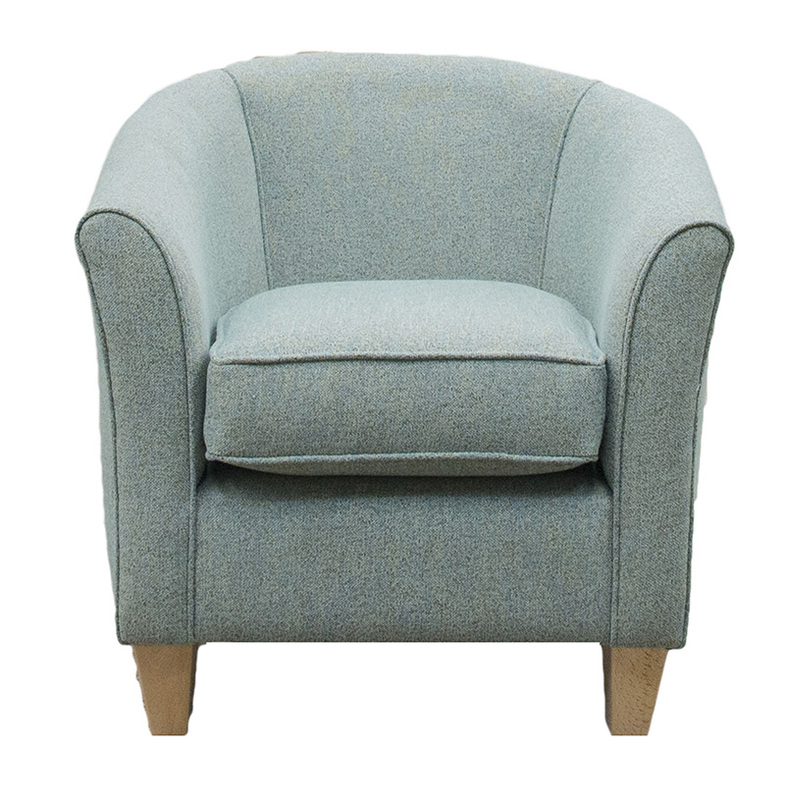 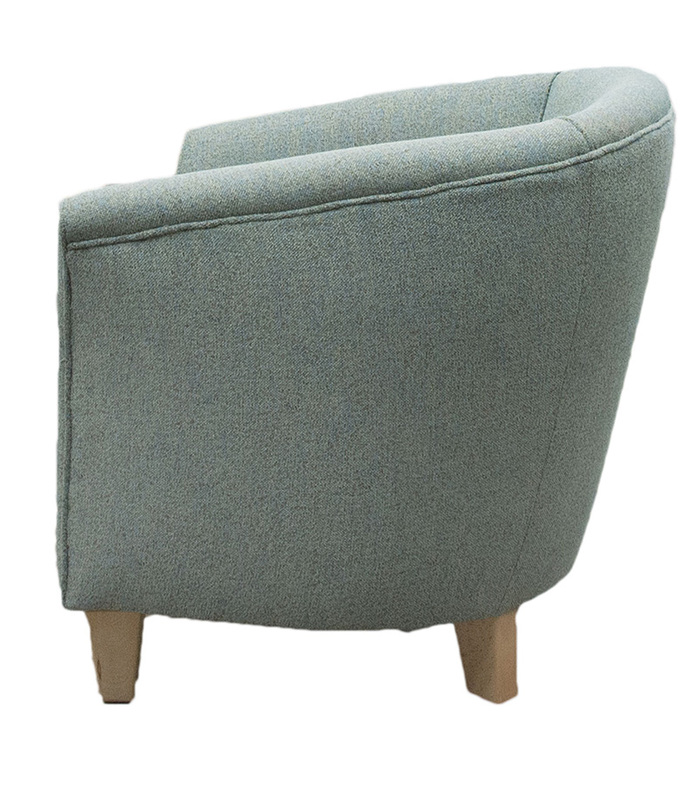 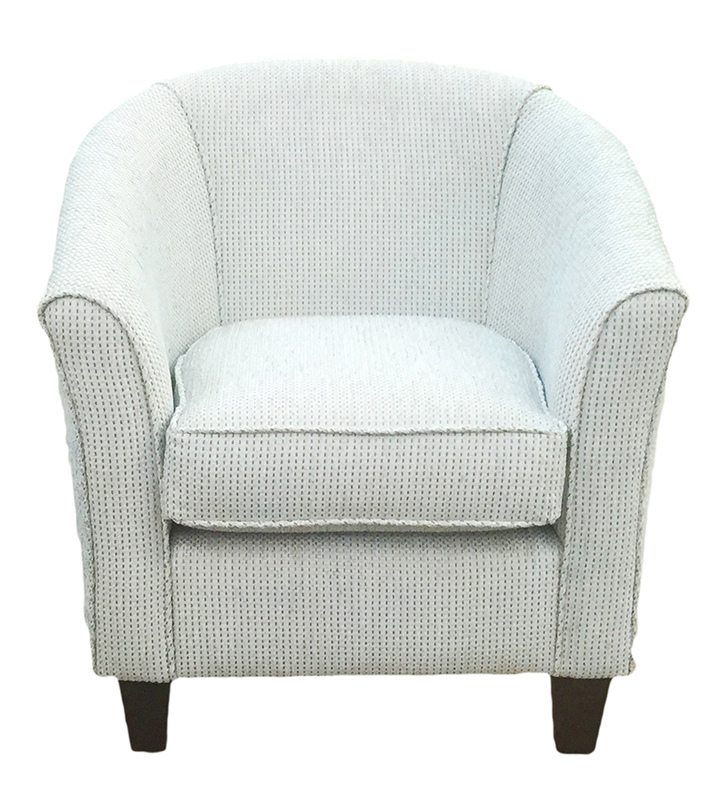 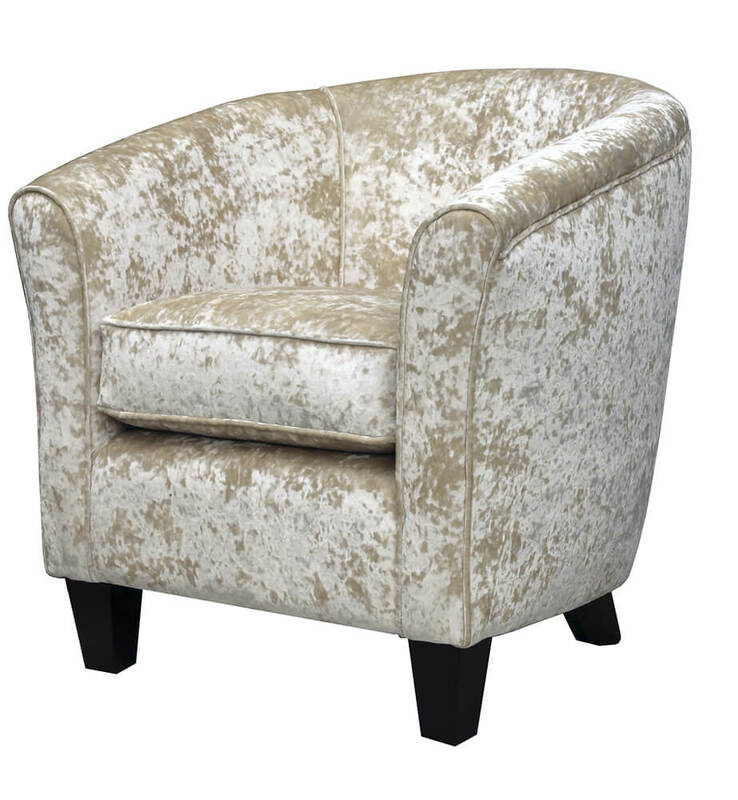 Our Tub chair is a most compact piece, it has a balanced look. 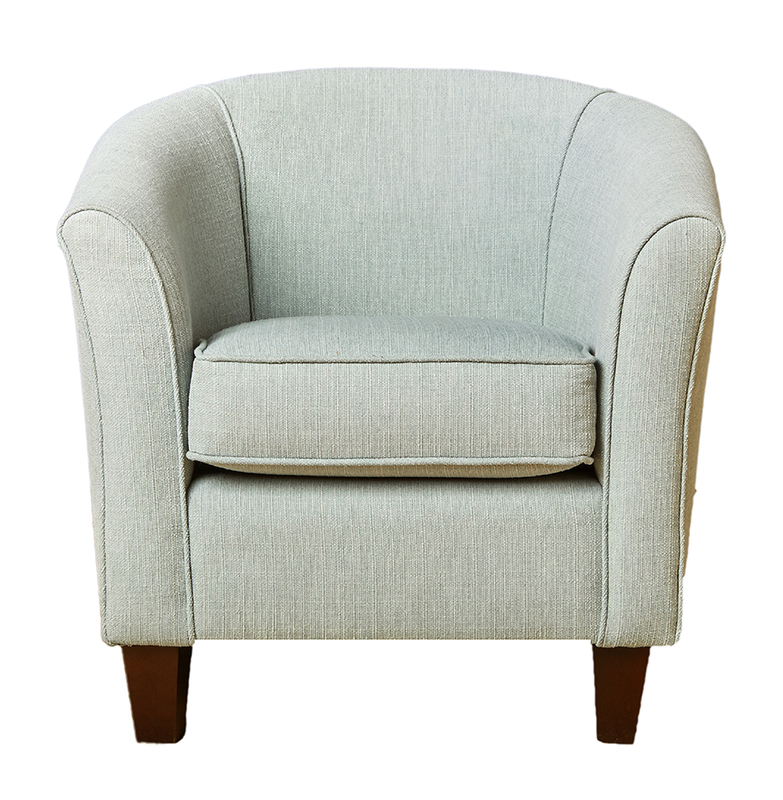 It sits atop modern block feet, and they are available in both a light and dark finish. 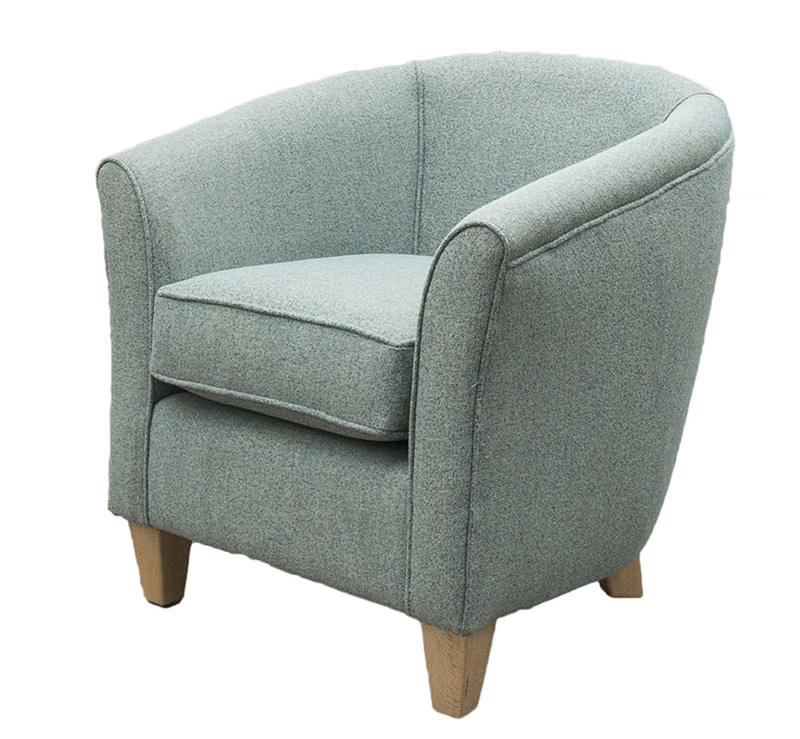 We can use any fabric on our Tub chair, so whether you want to use a funky modern accent fabric, a plush velvet or a cool modern linen type fabric, it’s up to you.